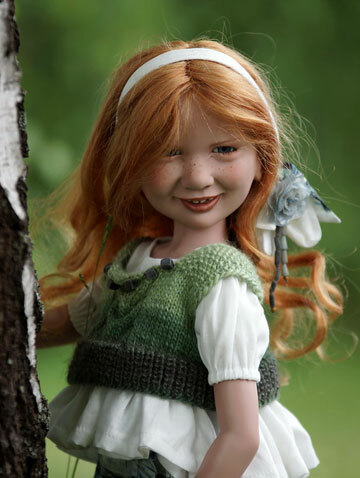 No coupon necessary Receive extra savings off the original price of select Zwergnase dolls only at The Toy Shoppe. Sale price is clearly reflected on each applicable item. Offer not valid on prior orders. Offer subject to change. A special edition limited to only 25 pieces worldwide. 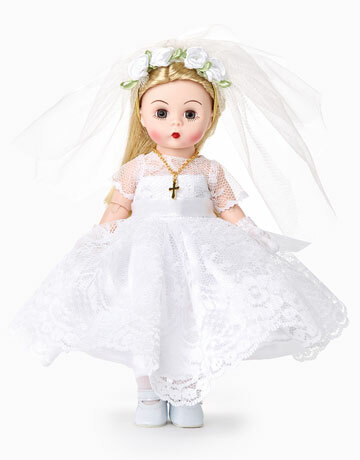 Fraulein Februar is a 19.6 inch vinyl doll with a five-way jointed body. 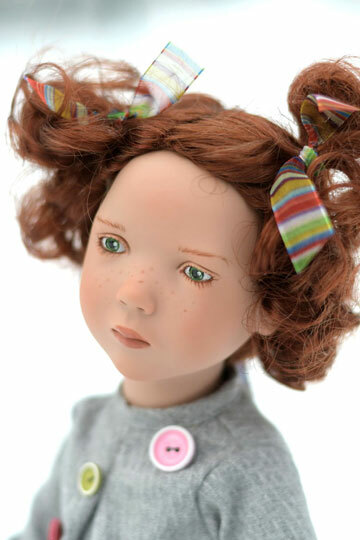 She has a hand-painted face with green eyes and her synthetic wig is short but perfectly styled for such a sweet face. Fraulein Februar wears a fun gray outfit with dots of color here and there. Colorful buttons randomly dot her blouse and polkadot leggings peek out from under Fraulein Februar's shorts. 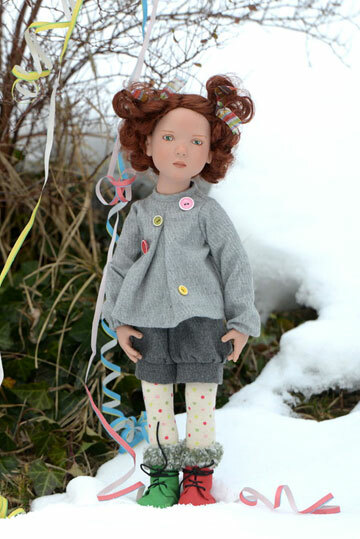 Striped ribbons in her hair and two different colored leather boots are the finishing pops of color. 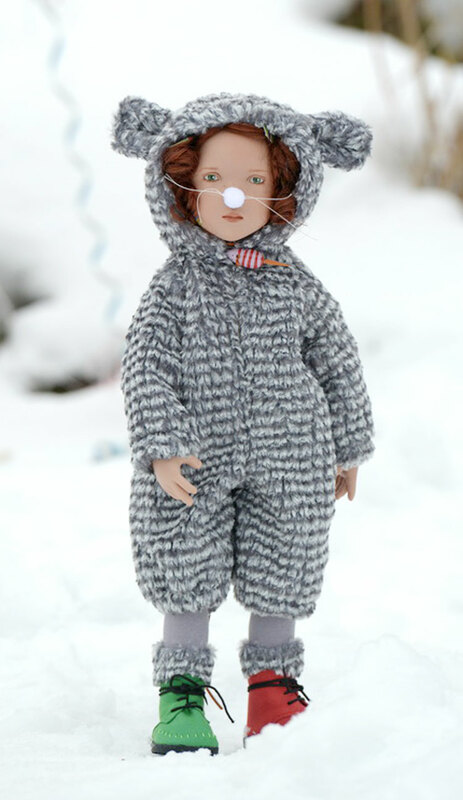 But that is not all... Fraulein Februar comes with an additional outfit: a mouse costume! Her costume entails a hooded plush mouse suit, t-shirt, mouse nose, gray stockings, legwarmers and a second pair of shoes. For a charming finishing touch, a little mouse pendant is fastened to her mouse costume. Made in Germany. Fraulein Februar, 25th Anniversary 19309-50 is part of the 2019 Zwergnase 25th Anniversary Collection and is limited to only 25 pieces worldwide. She will arrive packaged in a Zwergnase box. Suitable for ages 3 and up. PLEASE NOTE: Prices may change due to changes in the Euro/Dollar exchange rate. There is a certain magic about the countryside around Sonneberg in the Thuringian Forest. For children it is a kind of Christmas country. Connoisseurs and lovers of traditional handicrafts still appreciate today the wonderful things which were made here at the turn of the century. 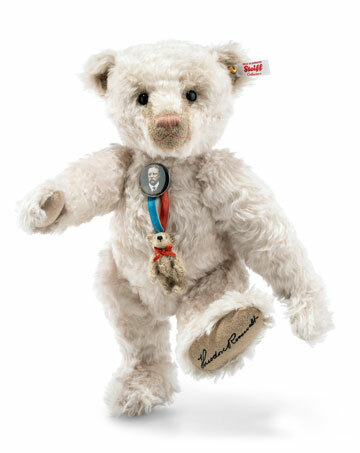 Zwergnase dolls and bears are lively and contemporary but a great part of their exceptional quality stems from this centuries-old tradition. Artist Nicole Marschollek-Menzner is the name behind the Zwergnase productions. 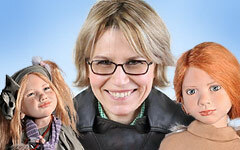 Nicole Marschollek was born in Rauenstein, near Sonneberg and from childhood she was fascinated with porcelain from her hometown, and toys from Sonneberg. 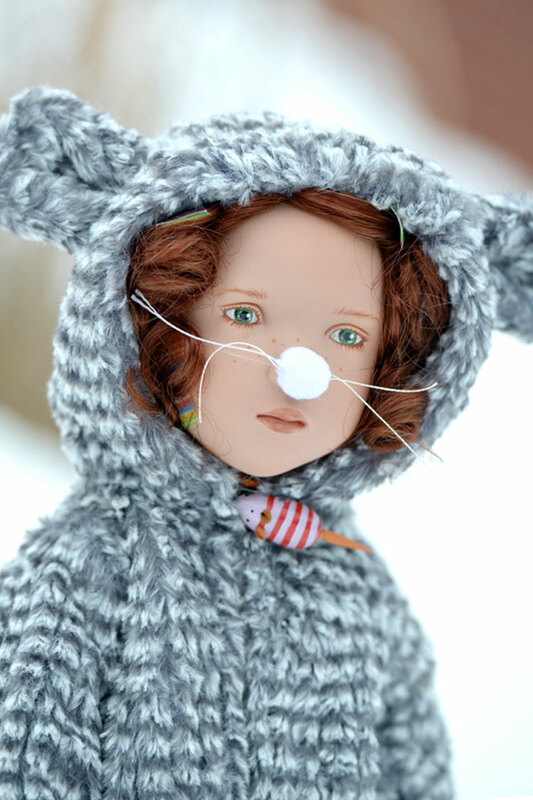 Nicole Marschollek has wonderful imaginative and innovative design aspects and her dolls are known throughout the world and in high demand.